The good news is that chocolate is good for you! 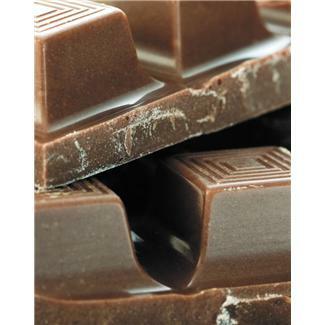 Of course, like most foods, to get the best from chocolate you should eat it as close as possible to its natural state. For most of us that means raw cacoa powder and chocolates made from it. Second best is to eat dark (at least 70%) chocolate and preferably organic and fair trade! Chocolate contains considerable amounts of magnesium as well as iron, zinc, potassium, vitamin A, E and some vitamins. Beware the amount of sugar and fat in mass produced chocolate bars however! A while back I went to a raw chocolate workshop by Tanya Alekseeva of Better Raw and came away with her raw chocolate kit. I loved the chocolates we made in the workshop, but have been a bit slow in using the kit. But then I discovered this recipe on My New Roots for a Raw Brownie. The perfect opportunity to use some of my raw cacao, and boy was it good! I also had some ground hazelnuts in the cupboard, so I used these instead of the walnuts, and I didn’t have quite enough dates, so added some juicy californian raisins. And they were delicious – so delicious that I forgot to take a photo! Still Sarah has gorgeous photos on My New Roots, so check them out, and treat yourself to some of these this Easter! Denis Cotter is definitely one of my favourite chefs. I lived for a while in Cork, Ireland’s second city and home to Denis’ restaurant Cafe Paradiso, and I probably didn’t appreciate at the time what a rare privilege it is to live near a restaurant you love so much! These days I have to content myself with Denis’ cookbooks, and his latest ‘For the Love of Food’ is out this month. While I wait to get my hands on a copy, I thought I’d write about one of his recipes that I use the most, from his first book, ‘The Cafe Paradiso Cookbook’. His recipe for Almond Tartlets includes a mouth-tingling filling of gooseberry and amaretto custard, but I have used the base tartlet recipe with all sorts of fillings. The base is gluten-free as it is made with ground almonds rather than flour, and even though the orginal has a gorgeous buttery taste, I have made vegan versions with vegan margarine which also turn out well. Besides making an excellent tartlet base for fillings, this recipe makes great biscuits, which are crisp and melt in the mouth! The secret is probably to act quickly and not mess with the mixture too much, but I’ve always found this recipe surprisingly easy, and the tartlets lift out of the tin without collapsing every time! For the photos below, I filled the tartlets with lightly stewed mixed frozen berries, topped with whipped cream and poured the juice from the berries over the top. Preheat the oven to 350F, 180C, gas 4. Cream the butter, almonds and the sugar together. Lightly butter eight shallow tartlet tins. Put one rounded dessertspoon of the pastry in each, and flatten it slightly with the back of a spoon, but don’t attempt to shape it into the tin in any serious way. The pastry will rise a little in the baking and collapse to form a shallow-lipped base. Bake the pastries for 20-25 minutes, until lightly browned, then leave them to cool in the trays.